5-HT1A receptor agonists relieve depression and anxiety. Great! What are they? The arrival of Viibryd, an SSRI and 5-HT1A receptor partial agonist, has caused all sorts of hub-bub here on chipur. Most readers are all good with the SSRI piece; however, the 5-HT1A biz throws many for a loop. It’s actually important to know, so we need to discuss it. And the only sane way to handle it is in pieces. Ready? 5-HT (5-hydroxytryptamine) is the chemical designation for the neurotransmitter serotonin. It’s role in the mood and anxiety disorders is huge. For the purposes of our discussion, receptor refers to a neurotransmitter receptor. You’ll see one on the receiving neuron (bottom) to the right. 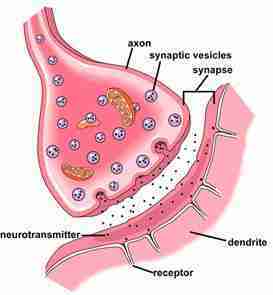 Receptors are present on both postsynaptic and presynaptic neurons – the former being used to receive neurotransmitters, the latter for the purpose of preventing further release of a given neurotransmitter. Each neurotransmitter has its own receptors. And it’s all about efficient electrical signaling. An agonist is any chemical that binds to a receptor and triggers a response by that cell. A chemical with the opposite action is known as an antagonist. Oh, partial agonist. Let’s not sweat that detail this go-round. A 5-HT1A receptor is a subtype of a 5-HT (serotonin) receptor. In fact, it’s the most widespread of the 5-HT receptors. Amongst other locations, 5-HT1A receptors are found in high densities in the cerebral cortex, hippocampus, and amygdala – all heavily involved in the mood and anxiety disorders. Activation of 5-HT1A receptors decreases blood pressure and heart rate, and lowers body temperature. Other activation effects include decreased aggression or an increase in calm behavior, increased sociability, inhibition of addictive behavior, and the facilitation of sexual behavior and arousal. So let’s put the pieces together. You may already be familiar with 5-HT1A receptor agonists and not even know it. How ’bout these? For example, buspirone (BuSpar) has been a popular anxiety med for a long time. Just today, Doctor Z. shared in a comment, “Buspirone (Buspar) has been available for years and is a 5HT1A partial agonist. Very inexpensive in generic form. If you’re really interested in trying Viibryd, any conventional SSRI combined with Buspirone might be a reasonable and cheap alternative.” Click here to head to his website. You’ll notice two atypical antipsychotics (Abilify and Geodon) in our list of 5-HT1A receptor agonists. Don’t know about you, but I’ve seen advertisements for Abilify as an augmentation agent for antidepressants for several years now. 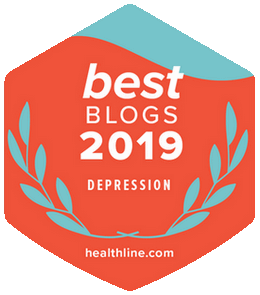 So an antidepressant regimen that can somehow pick-up 5-HT1A receptor agonistic properties brings faster relief and greater overall efficacy. Alrighty, then. A nice thumbnail on 5-HT1A receptor partial agonists. The info may come off like so much bio-babble, but it’s really important to have in your back pocket. I mean, why wouldn’t you want to know the action of a med you paid for – and aim to swallow? 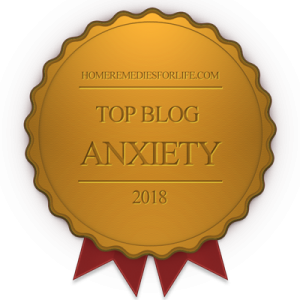 To check-out all of the chipur articles on the biology of the mood and anxiety disorders, just click here. Next Post: Antipsychotics & Children: What are we doing?